Merlin was a Master Energy Worker. Since very few people understood energy work at that time, they thought he was a Magician/Sorcerer. We all have the natural ability to work with energy. Consciously or unconsciously we use energy and leave energetic imprints. It is an important aspect of spiritual practice to consciously work with energy. It is important to take time every day to clear your energy field. As you go through your day you pick up energy that needs to be cleared from your field. There can be energy cords that need to be severed. Not clearing your energy field can leave you feeling exhausted, muddled, unmotivated. 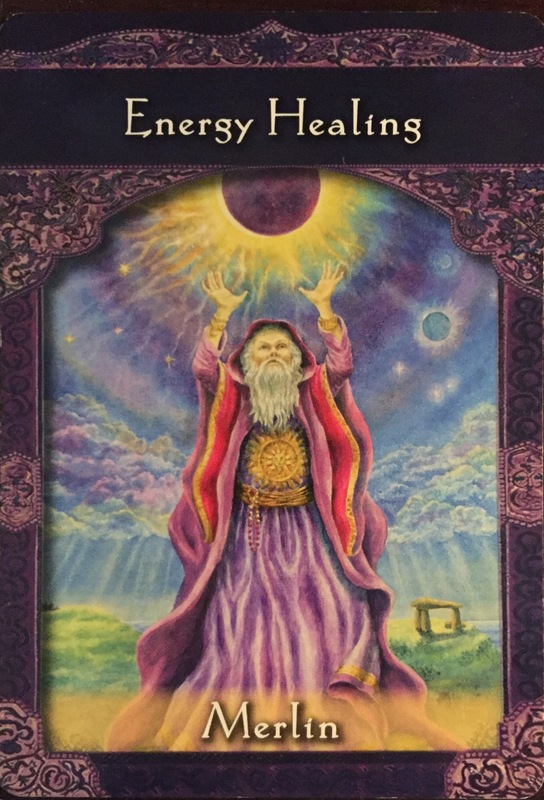 Along with clearing your physical energy field it is also important to clear out stuck energies from your home, vehicle, work areas. Healing is an important aspect of energy work. Energy healing can be used to heal yourself, others, animals, and the earth. Energy healing can be used to heal situations, to assist with forgiveness, to foster love where there is hate. It is time that we all take responsibility for the energetic imprint we leave.